NOTE: Submission of this form does not serve as confirmation of guaranted participation in this event. The Vendor hereby expressly releases the promoters of any and all liability for damage, injury or loss of any person or goods from any cause whatsoever and further agrees to indemnify the promoters against any and all claims for damage, injury or loss arising out of or in connection with the use of the space or the display and/or sale of any goods. Decision of a vendor’s classification and participation is at the full discretion of the Chocolate Moose. No display is to be attached to any of the pavement, walls, or fencing without authorization of Justin Loveless or Jordan Davis. Payment must be made, given to Justin Loveless or Jordan Davis, by Saturday at 11:59pm to participate in the following week’s event. It is encouraged to pay at Food Truck Friday for the following week’s event. Vendor must arrive self-contained, including but not limited to power strips, extension cords, generators, lighting and any other set up needs. The Chocolate Moose is not obligated to provide power, water, ice, or any additional resources. Vendors are responsible for clean-up of their area. Abandoned merchandise will not be accepted. Vendors MUST take all merchandise and trash with them upon completion of the event. Vendors who do not clean up or take all their merchandise will not be invited back to Bloomington Food Truck Friday and will be charged the appropriate clean up fees (minimum $50.00). Vendors will be responsible for collecting and paying sales tax applicable in the State of Indiana. Chocolate Moose assumes no responsibility for any damages when providing help at time of load in/out.  Set up time is from 9 am – 10:00 am upon permission of the Chocolate Moose. Vendors are allowed to set-up Thursday night previous to the Food Truck Friday Festivals. Tear down begins when a Chocolate Moose staff member has given the ok. Sign out by the Chocolate Moose is needed before leaving the premise. Vendors who need to make special arrangements may do so in advance by confirming with Justin Loveless or Jordan Davis. Vendors MUST be packed and off premise one hour following completion of the event. Vendors who need special arrangements may make requests in advance with Justin Loveless or Jordan Davis. Special arrangements are made by the discretion of the Chocolate Moose. All vendors are strongly encouraged to promote the Food Truck Friday Festival. We ask vendors to assist with social media and street marketing efforts. Inverted generators are preferred. If not, the Chocolate Moose reserves the right to deem a generator too loud for a vendor to participate. Absolutely no alcohol is allowed on the premises of First United Church of Bloomington, IN. Failure to abide by this could result in the church’s loss of not-for-profit status as well as immediate removal of the offending vendor. Vendor will not be allowed to participate in future events indefinitely..
All vendors must have necessary permits from the City of Bloomington as well as the Monroe County Health department..
Employees of vendors may only park in spots designated okay by Chocolate Moose staff. Parking for employees will never be guaranteed for more than one car per vendor. . Rain outs will be decided solely at the discretion of The Chocolate Moose. If The Moose decides that the event is canceled due to weather or any other reason, the entry fee will be forwarded to the next FTF event signed up for. Vendor entry will not be returned unless decided by the Chocolate Moose. Food trucks and trailers are charged $100 and food carts will be charged $50. A special price can be negotiated for most vendors who fall under another classification upon request through Justin Loveless or Jordan Davis. All payments should be paid by check (made out to Chocolate Moose), cash or check. Note: No payment will be accepted without this form on file. Click HERE to download.